State Rep. Dawnna Dukes, D-Austin, will ask a Travis County judge on Wednesday to dismiss four of the 13 felony counts against her. Dukes' attorneys filed a motion arguing that the four counts of tampering with a government record — which stem from travel vouchers she submitted in 2013 and 2014 — should be dismissed because the statute of limitations had lapsed before Dukes was indicted in January. Travis County District Attorney Margaret Moore said Wednesday's hearing will only focus on the motion filed by Dukes' attorneys. A Travis County grand jury indicted Dukes on 13 counts of tampering with a governmental record, a felony punishable by up to two years in jail and a fine of up to $10,000. These charges are based on allegations that Dukes made false entries on travel vouchers to obtain money for expenses she was not entitled to, Moore said in January a news release. Two separate indictments were also handed down for abuse of official capacity by a public servant, a misdemeanor punishable by up to a year in jail and a fine of up to $4,000. These "relate to allegations that Rep. Dukes misused public funds for her personal gain and that she converted campaign funds to personal use," Moore said. Dukes, an 11-term representative, previously said in a Facebook post that she will plead not guilty on all charges. Dukes referred questions about the case to her attorneys and said she is focused on her legislative duties, particularly helping to draft the Department of Family and Protective Services budget through her role on the House Appropriations Committee. "It is of utmost importance to my constituents, children of Texas, Appropriations Committee, and the Texas House that my full and unequivocal focus is to details at the Legislature," she said in a written statement. One of Dukes' lawyers, Shaun Clarke, declined to comment on the case "now that it is in active litigation." 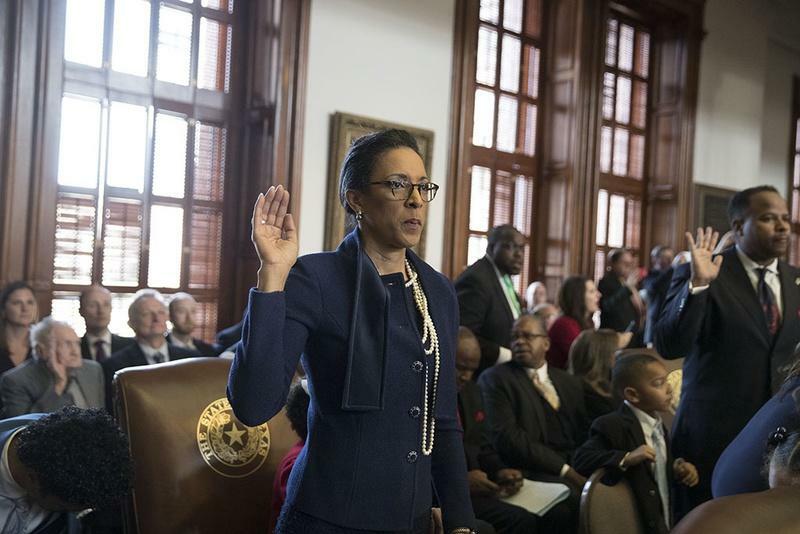 Just a few weeks into the Texas legislative session, there are already some questions about whether embattled state Rep. Dawnna Dukes, D-Austin, is spending enough time in the Texas State Capitol. During the last legislative session in 2015, medical issues stemming from an accident kept Dukes, a long-time member of the Legislature, from the Capitol. And, while she told reporters earlier this year that doctors said she would be able to return to work, since the start of the session, her recorded attendance has been pretty spotty. 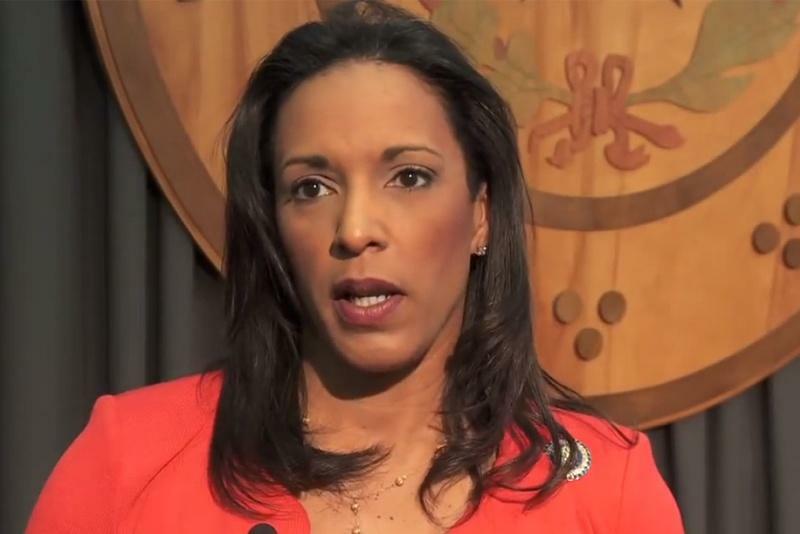 Dawnna Dukes has been indicted by a Travis County grand jury in relation to charges that she misused public resources and tampered with public records. "Who doesn't know what's going on with Dawnna Dukes?" On a rainy Sunday two days before a case against Dukes, the longtime state representative of House District 46, is scheduled to get a grand jury hearing, Joseph Frederick, 57, asked the question with a laugh while getting his hair cut in Delton's Pecan Street Barber Shop in Pflugerville. Prosecutors will ask a grand jury to indict state Rep. Dawnna Dukes, who was sworn into her position earlier today, on charges of misusing campaign funds and tampering with government documents. Travis County prosecutors and the Texas Rangers will bring their case to jurors next Tuesday, the District Attorney’s office confirmed.